Pink Flower bluebird sculpture. This is an original painting on wood, it is not a print! 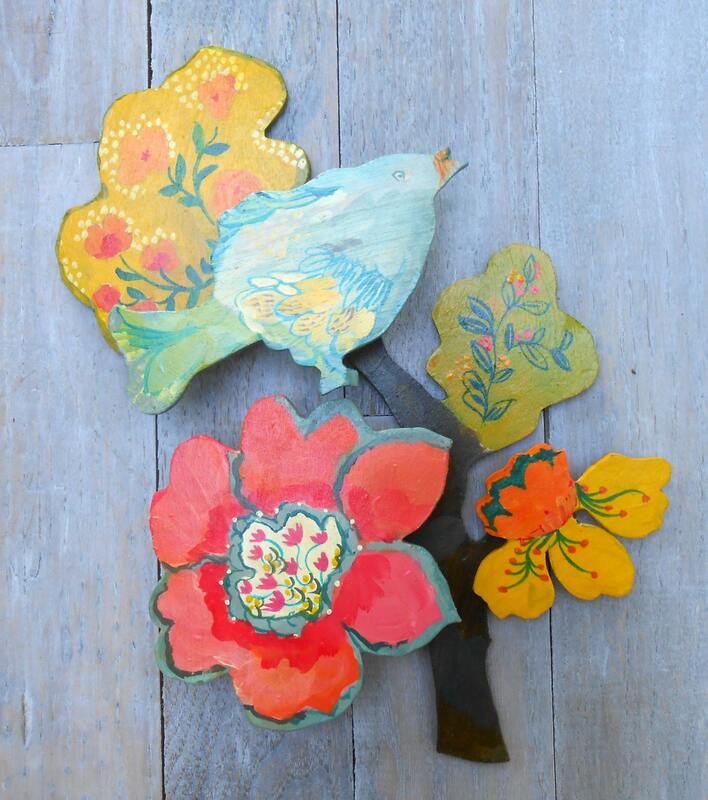 Vertically focused wooden sculpture on branches blooming with colorful flowers and leaves; intricate detail and surface carving. Hangers on back for easy installation. A sweet little treasure for a small wall space. Measures approximately 12" x 15". Each piece may vary slightly from the image on the website. Custom pattern or color commissions are welcome, just ask! Ships via USPS. Thanks for looking!